Show your pride and appreciation for the dedicated sacrifice of men and women in our armed forces. You can do this by hanging the USA proud: helmet and goggles personalized Christmas ornament on your tree in a show of support or give it to a soldier on your gift list. These military ornaments personalized by hand include that great saying on the front - "Land of the Free...Because of the Brave." 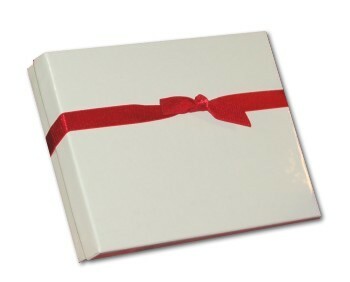 On the back, we add your custom details in a hand-painted font. A cord is already attached for displaying these patriotic ornaments virtually anywhere. 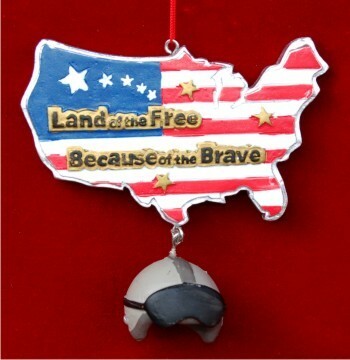 The land of the free helmet and goggles personalized Christmas ornament Christmas ornament will be a hit when it arrives in our classic velvet gift bag.